Harley Davidson India is now buying back Street 750 and Street Rod 750 from customers by paying them the entire ex-showroom price. There’s a catch to this. 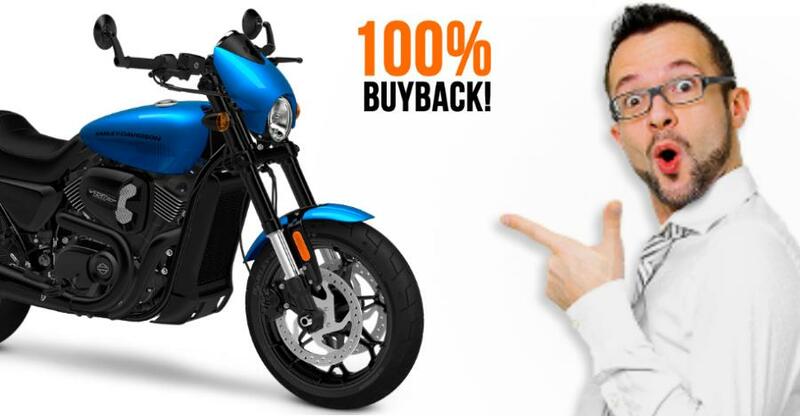 The buyback offer is applicable to only those customers whose Harley-Davidson Street 750 and Street Rod 750 are less than a year old, and who agree to upgrade to the brand’s Softail range of high-end cruisers. Essentially, this is a one of a kind exchange offer from Harley Davidson, the likes of which has never been seen before, in India at least. For customers with Harley Davidson Street 750 and Street Rod 750 motorcycles that are between 12-24 months old, the brand will offer 75 % of the ex-showroom price. There are six cruisers that Harley-Davidson sells under the Softail range in India. They are the Street Bob, Low Rider, Fat Bob, Fat Boy, Deluxe and the Heritage Classic. While the Street Bob is the most affordable of Harley-Davidson’s Softail cruiser range, with prices starting at Rs. 12.59 lakhs, ex-showroom Delhi, the Heritage Classic is the most expensive of the lot, with ex-showroom prices starting at Rs. 19.71 lakhs. All six motorcycles under Harley-Davidson’s Softail range are imported into India through the completely built unit (CBU) route. This explains the significantly higher price tag of these motorcycles when compared to the Street 750 range (which starts at about Rs. 5 lakhs). It is a good deal? It depends, really. If you have the itch to upgrade to a more powerful Harley-Davidson motorcycle, this approach is quite hassle free. All high-end motorcycles are depreciation disasters, and selling a motorcycle in the used bike market results in the bike taking a big hit. It’s not uncommon for motorcycles to lose over 30% of their original value in just a year. In such a situation, Harley-Davidson offering the full ex-showroom price of the Street/Street Rod 750 for customers upgrading to Softail cruisers is a good offer. Naysayers may note that this is a way for Harley-Davidson to make Street 750/Street Rod owners upgrade to much more expensive motorcycles from the Softail range, which are not just expensive to buy but will be more expensive to maintain as well. Of course, they will also depreciate quite a bit. So, merely upgrading through this scheme is like taking on a much bigger financial liability. Also, if this is meant to be a stock clearance exercise from Harley-Davidson, potential buyers of the Softail range would miss out on sizeable discounts that would otherwise be on offer. All in all, this is a double-edged scheme that will suit some, but not everyone. Buyers of the Softail range of cruisers from Harley-Davidson will also have to pay significantly higher road tax in India as vehicles imported as CBUs are taxed higher than vehicles that are either fully-built or assembled here. Notably, both the Street 750 and Street Rod 750 are fully built in India, replete with a high amount of localization, at Harley-Davidson’s factory in Bawal, Haryana. This is also the reason why the Street 750 range is priced so competitively. Prices of the Street 750 start from Rs. 5.05 lakhs, ex-showroom, Mumbai.